Mind Massage is effected through poetry. This is because as physical massage benefits the body; poetry benefits the mind. In order for this to happen, the poems should be beautiful and uplifting. Numerous articles agree on poetry’s beneficial effects. Regions of the brain linked to memory showed more activity than the general reading network while reading poetry. The world today is dominated “left-brain tyranny,” focusing on details, logic, and metrics. On the other hand, the right-brain focuses on “context, empathy, and the big picture,” according to the award-winning playwright and creative consultant William Ayot. I believe that poetry is as therapeutic for the mind as massage is for the body. By analogy we say, poetry is the art of massage applied to the mind. A genuine piece of Deposit bluestone inspires Indian art. A mountain of magical stone. To build an ancient clock. That so many still flock to see. Next to Oquaga Lake’s shore. It seems like Stonehenge at its core. Greco-Hebraic Bond by Number 3168. This “3168” figure is virtually ubiquitous throughout the ancient world. 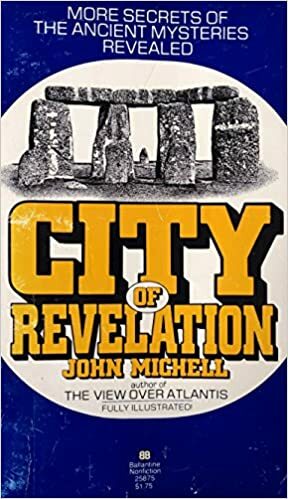 John Michell discusses 3168 in City of Revelation. Chapter VII is entitled: 3168, the Perimeter of the Temple. He also discusses how the number ties into measurement. Here is a brief excerpt. 31,680 inches = ½ mile. 31,680 furlongs (660 feet) = radius of the Earth (3,960 miles). By an ancient science called gematria, the Greeks equated 3168 with “Lord Jesus Christ.” See City of Revelation p.82. This is found in the ancient Greek practice of equating numbers and letters called gematria. Hebrew does the same. So do many ancient languages. In my featured picture above we have the blueprint and numbers of “the ancient temple plan.” Here we find the Greco-Hebraic bond. This is a source of ancient building. The idea was to draw on the numbers of this blueprint. Whatever units of measure you used didn’t matter. The idea was to draw on the numbers. It could be numbers in shorter Egyptian cubits (1.718 feet) , Palestinian cubits (2.107 feet) , English yards (3 feet) or even megalithic yards (2.72 feet). Please notice the outer hexagon numbers 528 on each side. Multiply number 528 by the 6 sides of the hexagon and we have: 528 x 6 = 3168. You are probably wondering how or where I discovered this ancient temple plan. I found it on beautiful Oquaga Lake. While I was hiking, the Oquaga Spirit offered me the vision in the featured blog picture. This spirit has became a part of my life. This is true even when I am away from Oquaga Lake. I’ve memorized every poem this spirit has dictated. I recite the poems to myself daily. The result was the poetry book entitled, The Oquaga Spirit Speaks. From the Greco-Hebraic bond to wisdom about number squares, the spirit freely offered knowledge to me. In turn I am sharing her knowledge with you. Slower Pace is Needed for Civilization. Many philosophers agree on this point. Henry David Thoreau stated: The art of simplification dictates a slow pace. Not frantic activity or restless movement: “Why should we live with such hurry and waste of life?” This he stated in Walden. My inspiration for a slower pace was also in the northeast. It happened on Oquaga Lake in Deposit New York. The result was my my book of poetry, The Oquaga Spirit Speaks. I think of her as a sacred spirit that dwells around the lake. The Indian tribe that once lived there was called the Lennie Lenape. They were a matriarchal tribe. Women made all key and important decisions. When a woman got married, she and her husband lived with the bride’s parents. The poem below was dictated to me by the spirit. While I was hiking around the lake, a man sprinted by me. After this happened, the spirit dictated the poem as fast as I could write it down. I asked him why he hurried? He said he carried news. Who must be in the know. Or in the trash it goes. To regions remote and vast. This is part of the road that circles around Oquaga Lake. Hikers, joggers, sprinters all made the approximately 3 mile trek. Above is a photo of the road that “Mercury Hermes”(a real runner) was on when he sprinted by me. In the picture above, the Oquaga Spirit was also on the same road. As green as the forest is; that’s how blue the lake is on a sunny day. The Beauty of Oquaga Lake as Viewed from Scott’s Oquaga Lake House. Keeping in motion is youth’s potion. It grows stale and makes one pale. For me, the Oquaga Spirit is very real. Everyone who goes to the lake can feel a special spiritual presence. This spirit chooses different ways to communicate with everyone. To most, she “radiates reassuring peace and sensations most sublime.” A few have tried to cross her. An example was a certain night watchman. He made quite a pest of himself. One evening he tumbled down a flight of stairs in Green Gables. He left a heel make over the bannister all the way down. It is still visible. The watchman literally crashed a party that was being held by a dance troup. He quit his job shortly afterwards, never to come back to Oquaga Lake. Keep checking DSOworks.com for more stories about the spirit. Also soon, start to check out Revivingantiquity.com. A few posts are up. Indian Summer as Related by the Oquaga Spirit. Oquaga Lake is imbued with a spiritual presence. It is a spring fed lake perched high in the Catkskill mountains. I sensed the spirit was female and from the Lennie Lenape tribe. This particular tribe was matrilineal. She dictated poetry every summer. Many of my blogs on DSOworks.com share her wisdom about number squares. Soon I’ll be starting a 2nd website called Reviving Antiquity.com. She taught me about the “grain of mustard seed.” It is the 3 x 3 number square which grows like a luxuriant plant. It is the smallest of number squares. Yet it grows to infinity. The 3 x 3 square hides lost number codes. These codes were part of the knowledge once found at the library of Alexandria in Egypt. The poem below is an excerpt from The Oquaga Spirit Speaks. It is a product on DSOworks. The matrilineal Lennie Lenape tribe dwelled around Oquaga Lake. They were part of the Indian Algonquin nation. I felt a spiritual presence the entire time we lived by the lake. Fall was a quicker runner. Brushing her leaves with tint. To cheering fans and crowds. Thinking to win this race. For all of us she’ll be. Persevere is the Advice of the Oquaga Spirit. To persevere is to persist in any undertaking in spite of any difficulty or obstacles. In the featured picture, the kids are challenged to master the art of rowing. While I summered on Oquaga Lake, I was visited by a spirit. This happened at Scotts Oquaga Lake House. I sensed she was from the Lennie Lenape tribe: A matriarchal tribe that also lived around the lake. On hikes she would dictate poetry. Today’s feature poem is called “Like a Mountain Be“. It is one of some 80 poems. These poems are assembled in a book entitled, “The Oquaga Spirit Speaks.” I modeled the title after a classic by Black Elk entitled: “Black Elk Speaks.” My poetry is available as a product on DSOworks.com. On line it can be downloaded for $7.99. An autographed hard copy is $35.00 U.S. dollars. This includes postage. For those who have little extra money, Below I posted a 15 minute free reading. This is at the entreaty of the Oquaga Spirit,. Also, I her poetry do presentations for parties and conventions. 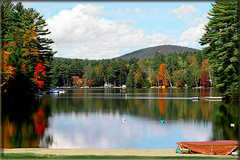 The lake is situated on a mountain top in the Catskill Mountains overlooking Deposit, New York. When you are there, you feel as if your troubles have disappeared. It has a healing effect that reminds me of the movie, Enchanted April. This film is about the 15th-century Castello Brown in Portofino. That is the location of author von Arnim’s novel. The water is drinkable from the lake with minimal purification. Persevere.” Like a Mountain Be” is the poem given to me by an amazing spirit on Oquaga Lake. View is from Scott’s Oquaga Lake House. Before the flood gates stopped. The trickles turned to streams. As water came down in reams. To a might thundering sword. On the plains the rain’s just art. That stands on top of mud. Keep checking for more poetry from my favorite spirit! News as Reported by the Oquaga Spirit. A couple of hiking trails enclose the lake. The smaller just encloses the lake’s perimeters. The larger trail also makes a grand loop on Oquaga Lake Road. It also encloses Scott”s Lookout Cookout. On the trail you walk by virgin forest and countless raspberry and blueberry bushes. Two of Scotts golf courses touch the trail. At Lookout Cookout, while you dine on the mountain top to country music performed live by the Scott family, you can enjoy a bird’s eye few of the lake. The road encloses the lake and loops for about four and a half miles. This is home territory for the Oquaga Spirit. One day while walking and communing with her, a gentleman ran past at a quick pace. As I traversed the road with pen and pad in hand, I wrote the following rhyme at the entreaty of the spirit. Walking on the Loop Around Oquaga Lake, Mercury Hermes ran past. Scott’s Oquaga Lake House is set up for another memorable wedding. The spirit loves weddings. The sign posted in the picture states: Two families ar becoming one. We ask that you choose a seat and not a side. The spirit, a female Indian from the Lennie Lenape, is a great peace maker. Please read the poetry posted as a product on the front page of DSOworks. If things are tight monetarily, as they are for most, just enjoy the poems blogs. Eventually I will blog about all of them. Halloween, a brightly lit Moon and Black Cats Dashing By. Happy Halloween. Yes, the Oquaga Spirit seems to enjoy Halloween. The Spirit offered me a poem for my book entitled, The Oquaga Spirit Speaks. I call it “Autumn’s Party”. I’ve memorized every poem in the book and daily practice their recitation. My goal is to one day tour the world reciting the poems of this spirit. I sense she is from the Lennie Lenape tribe. She would accompany me on my hikes around the mountains. Later I would recite the poems at the public libraries in the Catskills and on group hikes. It’s all part of a book of poetry that the spirit dictated to me over several years. At Scott’s Oquaga Lake House I was the pianist for their occasions for some 15 years, It was there I made the acquaintance of the spirit. The spirit dwells on and around Oquaga Lake located in the scenic Catskill Mountains. This is the Home of the Scott Family since 1869- and, the Oquaga Spirit who “ignored my tranquility” as she dictated her poems. Above, from right to left are Michael, Scotty (patriarch), Gary, Michelle, Patty and majestic matriarch, Doris. HAPPY HALLOWEEN! Memorizing poetry is good for the mind. These poems also offer therapy. They have the ability to keep you happy even in these difficult times. It that way, it seems like the spirit’s poems have a healing quality. They are available on DSOworks.com as a product quite inexpensively. If you are short on funds, be patient. Eventually they will all be posted and blogged about, one at the time, for free! Things that cause a fright. That fills the night time air. At devils and demons do you stare. Delight in fright it seems. Make the Oquaga spirit be with you; and, Happy Halloween! -David.